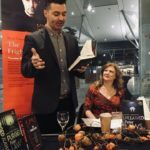 I published Dead Blind back in May and have been thrilled with the reviews it has gathered for itself. “There is fear, loss of control, relationships, the dark net, feelings of weakness, vulnerability, guilt, suspicions, exposure, doubt and the ever present search for justice seamlessly woven throughout the pages of this absolutely FASCINATING read!” ~ Noelle Crime Book Junkie. If you’re wondering what all the praise is for, this is Dead Blind. Dead Blind is a riveting standalone thriller. If you like your detectives flawed and human, and your plot taut, then you’ll love Rebecca Bradley’s nail-biting, hold-your-breath read. 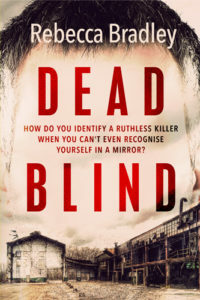 Now, if you’re an audiobook fan you can download Dead Blind in audiobook format as it is released this week in audio! I’m so excited by this. 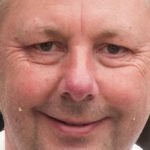 The narrator Damian Lynch does a fantastic job, just have a listen to the sample on the book HERE. Isn’t he great!? He really brings the book to life. 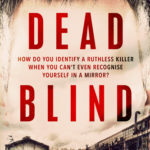 And to celebrate the fact that Dead Blind is out in audiobook format I am giving away two copies of the audiobook to two lucky commenters. All you have to do is leave a comment telling me you want to be entered into the draw. Simple as that! The draw closes at 8pm UK time next Wednesday 25th July and you can check back on the blog next Thursday to find out who the winners are. Buy a copy of Dead Blind HERE. I would truly love to win a copy of the audio book version of Dead Blind. I listen to audiobooks on long drives. Yes please from me too! It’s been a year when someone introduced me Dead Blind. I was intrigued that time when I realized this must be good audiobook suggested by someone. Thank you for reviewing it.